Wedding season is in full swing so I wanted to share my thoughts on dressing as a wedding guest during the summer. Pastel colours and frills are my favourite for summer, as they go so well together and are perfect for day to night looks. If you have time to change that's great, but I personally prefer to wear the same outfit throughout the day. Obviously the most important aspect of your outfit is picking the dress or outfit. I personally prefer to wear dresses, but there’s plenty of other outfit ideas, including skirts, trousers and two piece outfits. This floral ruffle dress from Y.A.S at ASOS is so feminine with the pretty frills and pastel colours. The details such as the back of the dress make it extra special and also a little bit different. I’ve already mentioned this point, but choosing the right colours can really make all the difference to your whole look. For a summer wedding, I would recommend soft pastels and light colours as they look great both in the day and night. 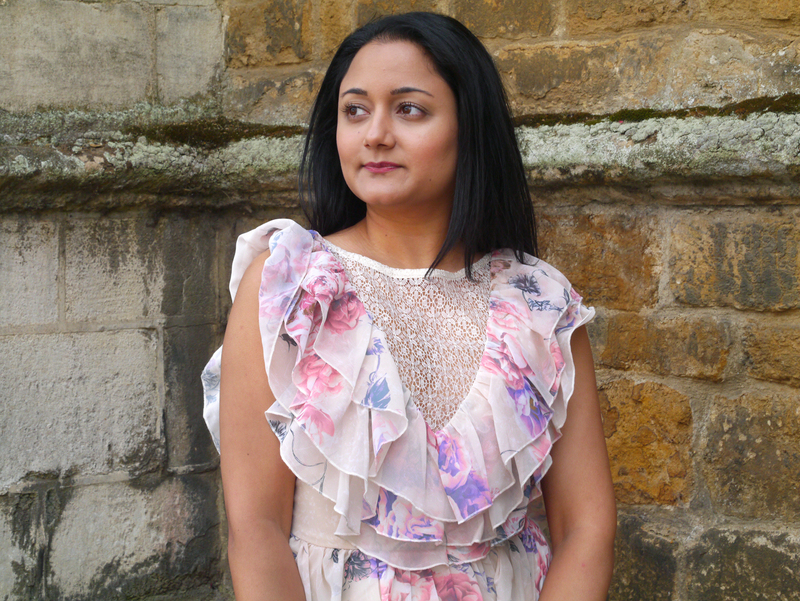 This gorgeous dress has a flowery pattern on which again adds to the style. A clutch bag always looks great with wedding guest outfits, as you don't want to be carrying around too much for the day. 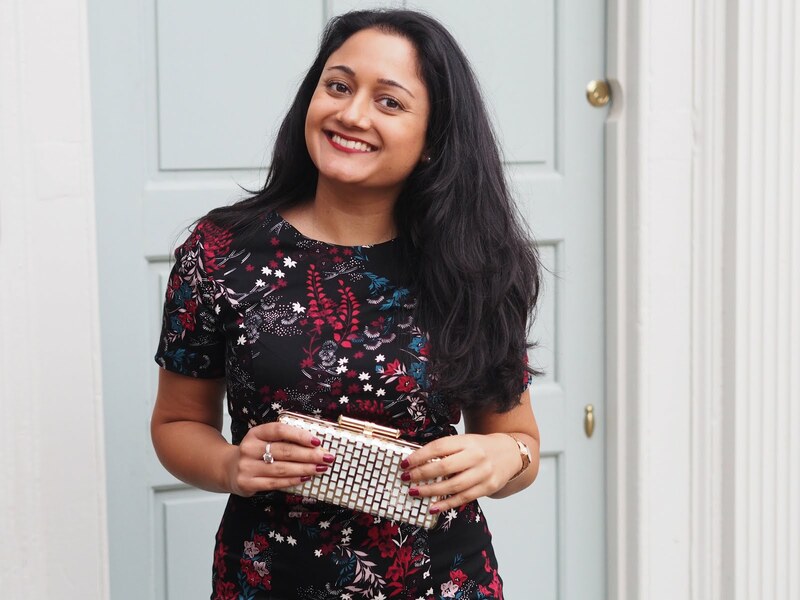 This trusty gold clutch bag is my go to handbag for special occasions. As there was so much detail on this dress already, I decided to wear some simple pearl earrings. The shoes are from Pull & Bear and have a definite Chanel vibe!